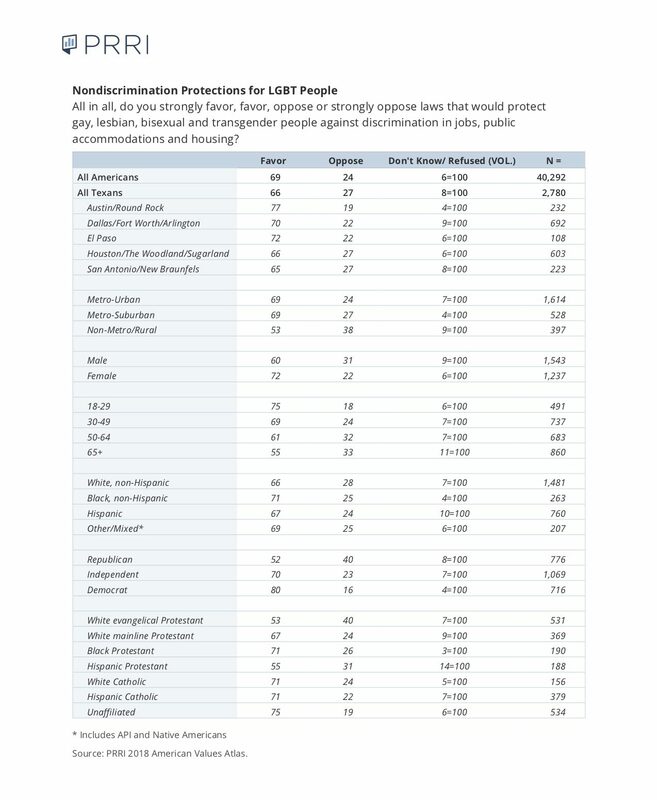 New analysis shows that the majority of Texans (66 percent) remain supportive of nondiscrimination laws that would protect lesbian, gay, transgender, and bisexual people from discrimination in jobs, public accommodations, and housing. Interviews with nearly 3,000 Texans find strong majority support for LGBT nondiscrimination laws across a broad range of subgroups. Notably, there is bipartisan and cross-religious support among Texans for LGBT nondiscrimination laws, as well as majority support across five major Texas metropolitan areas. 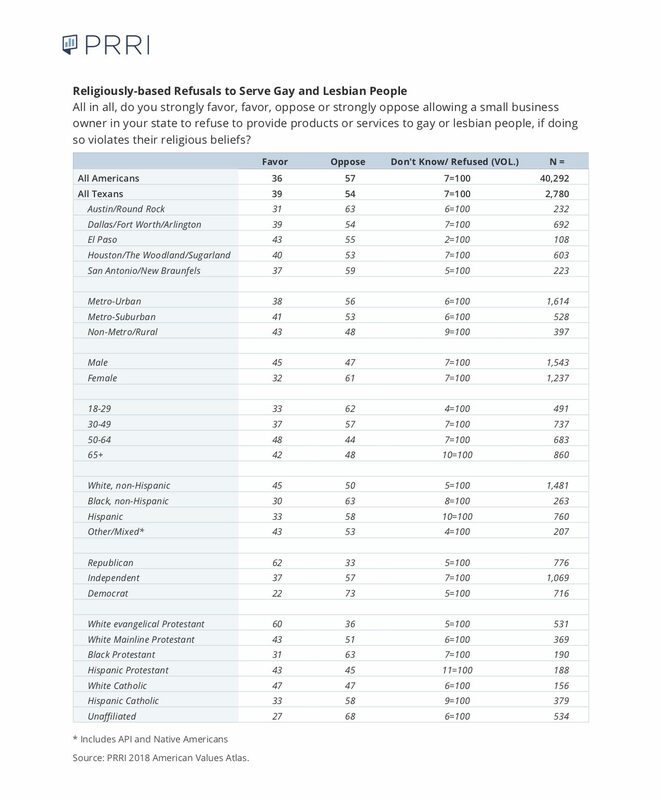 The new analysis also finds that more than half (54 percent) of Texans oppose allowing a small business owner to refuse to provide products or services to gay or lesbian people based on the owner’s religious beliefs. A majority of religious subgroups oppose religiously based service refusals, with the exception of white Catholics, Hispanic Protestants, and white evangelicals.